Charles W. Cope is a U.S. tax attorney with more than 25 years of experience in all aspects of U.S. cross-border corporate taxation in a wide array of industries. He is skilled at advising clients on complex cross-border tax issues and achieving desired tax consequences in a manner consistent with business objectives while limiting tax-controversy risk. Charles W. Cope is a former associate international tax counsel in the U.S. Department of Treasury’s Office of Tax Policy. He has a wide range of experience in U.S. corporate and cross-border tax matters, particularly in tax planning for intellectual property, managing U.S. trade or business and permanent establishment issues, transfer pricing planning, corporate acquisitions and divestitures, cross-border financing and licensing, tax-efficient business expansions and restructurings, managing subpart F income, foreign tax credit planning and interpretation of income tax treaties. He also has experience addressing issues raised by the Internal Revenue Service in connection with the examination of cross-border transactions and transfer pricing. He has advised clients seeking to obtain private letter rulings from the IRS on cross-border tax issues, U.S. taxpayers seeking advanced pricing agreements (APAs) from the IRS, and taxpayers seeking to mitigate double taxation through the mutual agreement procedure (MAP) included in U.S. income tax treaties. Mr. Cope has represented a variety of multinational corporate clients headquartered in the United States, as well as those headquartered in Europe and in Asia. His experience spans a wide range of industries, including consumer products, industrial products, pharmaceuticals, software, technology, internet retailing, internet services, shipping and energy exploration, private equity and the U.S. operations of foreign banks. Prior to forming his firm, Mr. 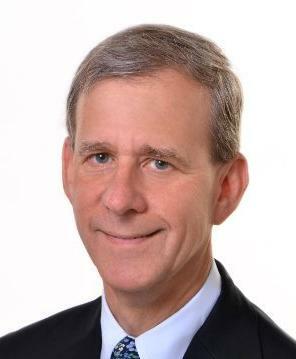 Cope was a principal (non-CPA partner) in the Washington National Tax Office of KPMG LLP, where he was member of the International Corporate Tax group for many years. In that role, he addressed a wide range of international tax planning, transfer pricing and business structuring issues. Before joining KPMG, Mr. Cope was a member of the New York office of the Structured Products Group of Barclays Bank PLC where he focused on cross-border transactions involving financings and derivative products. While working in Washington at the Department of the Treasury, Mr. Cope addressed issues involving international corporate taxation, U.S. income tax treaties, and the taxation of financial products and foreign currency. His responsibilities included participating in U.S. income tax treaty negotiations, representing the United States at Working Party 1 (tax treaties) of the OECD, producing the initial draft of the 1996 U.S. model income tax treaty, reviewing tax regulations drafted by the IRS and developing legislative proposals to amend the Internal Revenue Code. Prior to joining the Department of the Treasury, Mr. Cope practiced tax law in the New York office of Chadbourne & Parke where he advised a variety of public and private clients, including high net worth individuals, on U.S. cross-border tax matters. Mr. Cope is admitted to practice law in New York and the District of Columbia. He is a council member of the International Fiscal Association-U.S.A. Branch, a director of the International Tax Institute in New York City and member of the International Tax and Finance Forum in Washington, D.C. He also is a member of the Tax Sections of the District of Columbia Bar Association, the New York State Bar Association and the American Bar Association. For many years Mr. Cope has taught foreign law students in the International Business Transactions course in the International Tax LL.M. program of New York University. He also has lectured on U.S. international tax topics in a variety of venues including the Tax Executives Institute, the International Fiscal Association, the United States Council for International Business, the Practicing Law Institute, the Wall Street Tax Association, New York University, and the Harvard Law School. Mr. Cope has published numerous articles on U.S. cross-border tax matters in a range of publications including, the Journal of Taxation, TAXES – The Tax Magazine, Tax Notes, the Daily Tax Report, Tax Notes International, and the Tax Management International Journal. He also writes a monthly tax column on U.S. tax developments for the journal, International Taxation.